Backpackers Madrid is a new hostel with all facilities and better communication, designed especially for backpackers, with the best prices in Madrid! - 24-hour reception with a tour desk. - Hot water 24 hours. - Towels and linen for free. - Free Wi-Fi in all rooms. - Breakfast for 1 €. - TV room and lounge area. 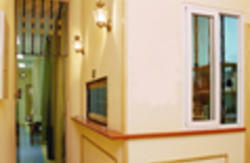 - A unique meeting point where tapas, lunch, dinner and drinks are served (with special discounts for guests). Backpackers Madrid offers the most central and accessible location in Madrid, ideally communicated by public transport (bus, subway, commuter) that provides access to the major public attractions in Madrid. 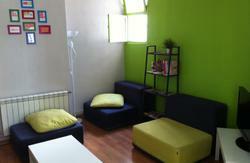 In Madrid Backpackers you can enjoy a family atmosphere where making new friends from all over the world. Check-in/ Check-out time : 12:00. 1 - 2 - 39 - 46 - 74 - 75 - 133-148 and Circular.